Narges Mohammadi, the deputy head of the Defenders of Human Rights Center (DHRC) co-founded by Iranian Nobel Peace Prize laureate Shirin Ebadi, was arrested on May 5 at her home in Tehran, according to her husband. Speaking to RFE/RL by telephone from Paris, Taghi Mohammadi said the officers apparently arrived early in the morning with an arrest warrant. 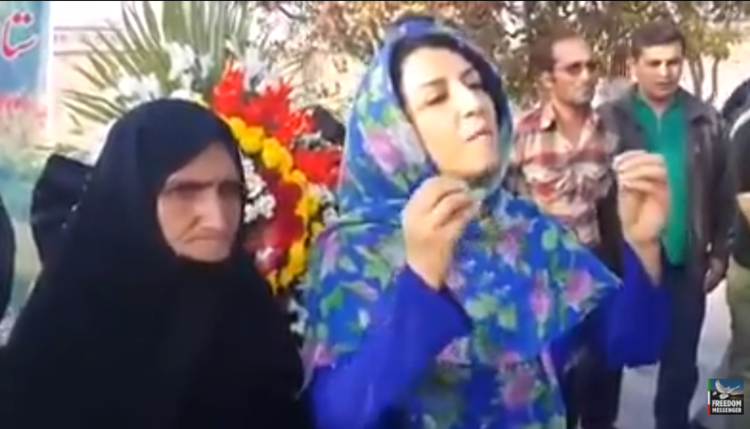 The opposition website Kalameh reported that security agents told Narges Mohammadi they were taking her to prison. It isn't clear whether Mohammadi's arrest was related to a previous prison sentence or a current court case in which she faces fresh charges. Mohammadi had been arrested in 2010 and in 2012 and sentenced to a six-year prison term. She spent several months in jail before being released on bail for health reasons. The outspoken Mohammadi was due to go on trial over the weekend on security charges related to her human rights work, including acting against Iran's national security through her membership in the DHRC. Her trial on May 3 was reportedly delayed after her lawyers said they had not had access to her file. Mohammadi’s lawyers were supposed to go to court on May 5 to study her dossier and prepare her defense. The mother of two has been at the forefront of peaceful protests and campaigns on behalf of political prisoners and other victims of human rights abuses. She has been also involved in efforts to end the death penalty in the Islamic republic. In the defiant speech, Mohammadi blasted Iranian authorities over Beheshti’s death and accused them of negligence. A few days before her arrest, Mohammadi told RFE/RL’s Radio Farda that one of the charges she faced was related to her membership in the Step By Step To Stop The Death Penalty In Iran campaign, which authorities have described as "illegal." Mohammadi, also said that the new charges had been brought against her following a March 2014 meeting in Tehran with former EU foreign policy chief Catherine Ashton. The meeting angered Iranian hard-liners who said that Ashton's meeting with a number of "seditionists" — a term commonly used to describe opposition activists — amounted to interference in Iran's internal affairs. Mohammadi was interrogated a number of times in recent months before being charged by the Revolutionary Court. Aldolghassem Salavati, a hard-line judge known for issuing harsh sentences to political activists, is reportedly in charge of her case. In a May 5 letter to Ahmed Shaheed, the United Nations' special rapporteur on the human rights situation in Iran, Ebadi said Mohammadi was still in need of medical care because of her health problems. Ebadi called on Shaheed to do all he could to push for Mohammadi’s release.